You are going to Watch Fairy Tail (Official Dub) Episode 41 English dubbed online free episodes with HQ / high quality. 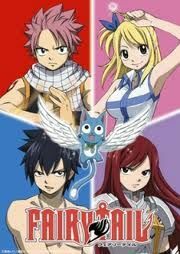 Stream Anime Fairy Tail (Official Dub) Episode 41 Online English dub Home.Erza sees a vision of her friends crying at her own funeral, and regrets her decision to sacrifice herself to save everyone. However, she hears Natsu’s voice and awakens from her vision, alive and greeted by all her friends. Natsu and his friends return to the newly rebuilt Fairy Tail, with Juvia and Gajeel as new members. 5 / 5 - 105 ratings.